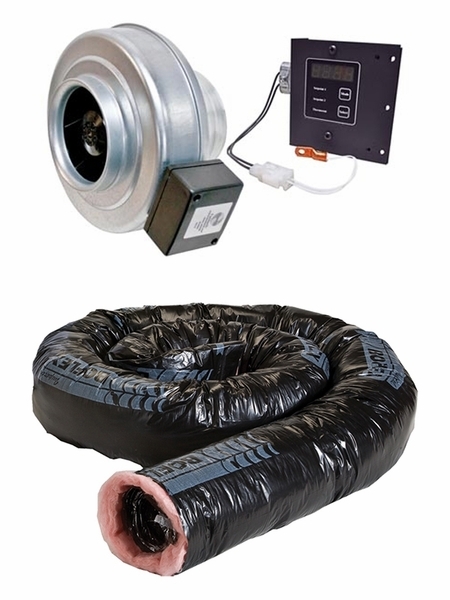 The Osburn Forced Air Distribution Kit with 25 Foot Flex Pipe is a complete forced air kit with your flex duct assembly included. Made specifically for the Osburn Stratford wood fireplace, you will count yourself lucky that the manufacturers have made your experience hassle-free at pivotal points and taken additional steps to ensure your satisfaction. During installation, enjoy the components, which are strategically packaged together to reduce complexity and help complete the job with ease.